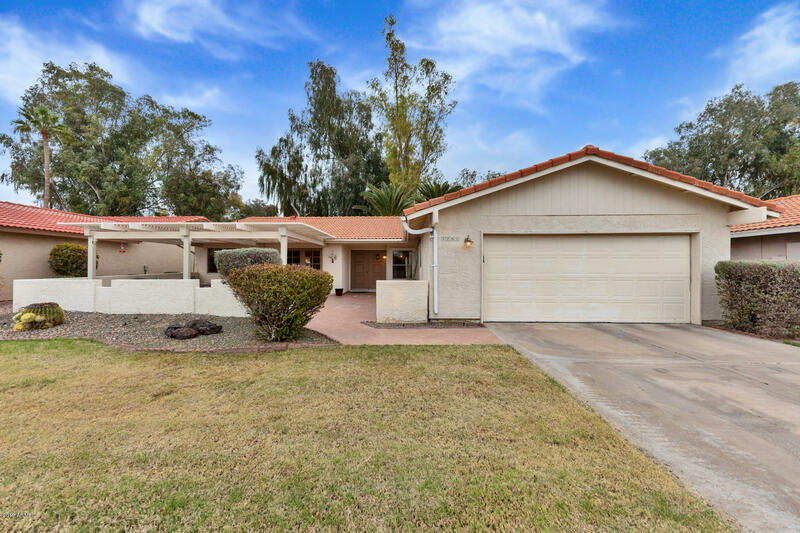 All LEISURE WORLD homes currently listed for sale in Mesa as of 04/18/2019 are shown below. You can change the search criteria at any time by pressing the 'Change Search' button below. 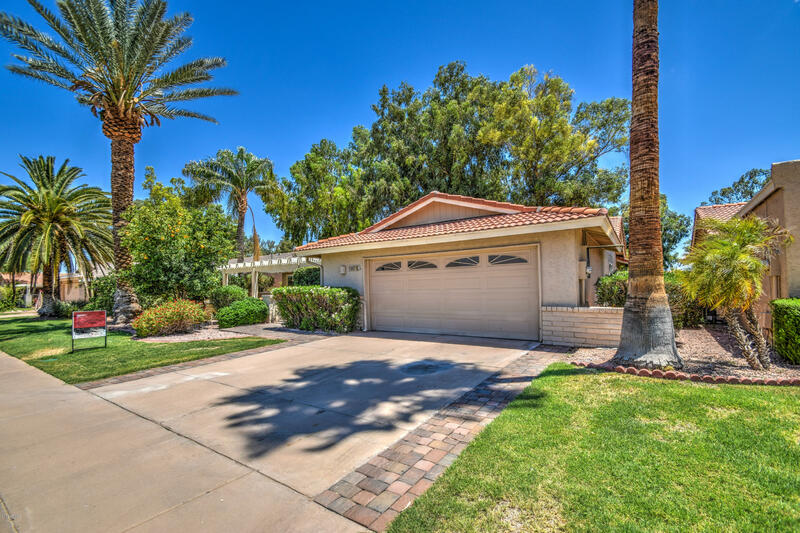 "**GREAT HOUSE IN AN ADULT GOLF RESORT COMMUNITY WITH A HEATED POOL** Must see, a jewel within this amazing gated adult, 55+, golf resort community in the heart of town. Heated and covered pool. No neighbor on one side or behind. 3 bedroom/2.5 bath, fireplace. Updated kitchen, AC and pool pump. 24/7 gated community. Leisure World offers 2 18-hole golf courses, 3 htd pools & 2 spas, fitness center,lawn bowling, tennis, cards, facilities for lapidary, ceramics, wood & more!MUST SEE!" "UPDATED HOME with a View on the Golf Course! New Kitchen, Bathrooms, Flooring, Shower Dual Pane Windows and Doors. You will enjoy the morning sunrise from the patio overlooking the 3rd fairway and lake on the Heron Lakes Golf Course or watching the sunset from the front patio. Plus indoor laundry and a garage large enough for 2 cars plus a golf cart. You deserve to live like this and enjoy all the amenities of Leisure World." "This lovely 3 bedroom home has been completely updated. Just move in & enjoy. nicely tiled floors in the kit, inside laundry room w/ plenty of storage. both bathrooms are updated w/tile flooring & sky light. Large eat in kitchen. extra large living room & d.r. with an electric fire place. 3 bedrooms all carpeted B.r. 2 has an electric fire place. 2nd B.R can be used as an office or a den front & back patio are roof covered front patio is walled in for privacy. back patio is backed up to the gol"
"Stunning custom home on a corner lot in gated Leisure World Community. 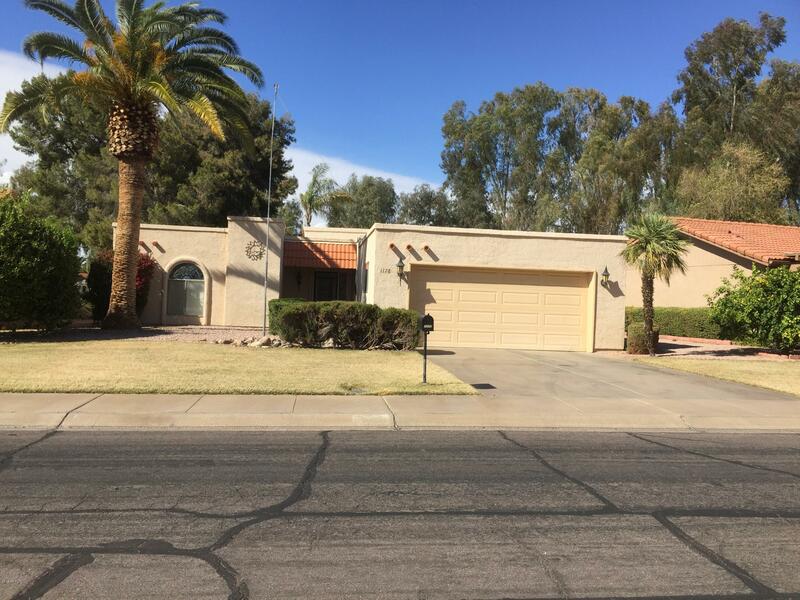 2 bedrooms, 2 baths, plus BONUS room that can be a den, studio or office. This home offers a huge elegant custom kitchen, formal dining room. Tile in living areas and carpet in bedrooms, central vac. Enjoy your large master suite with private office, walk in closet and custom shower. 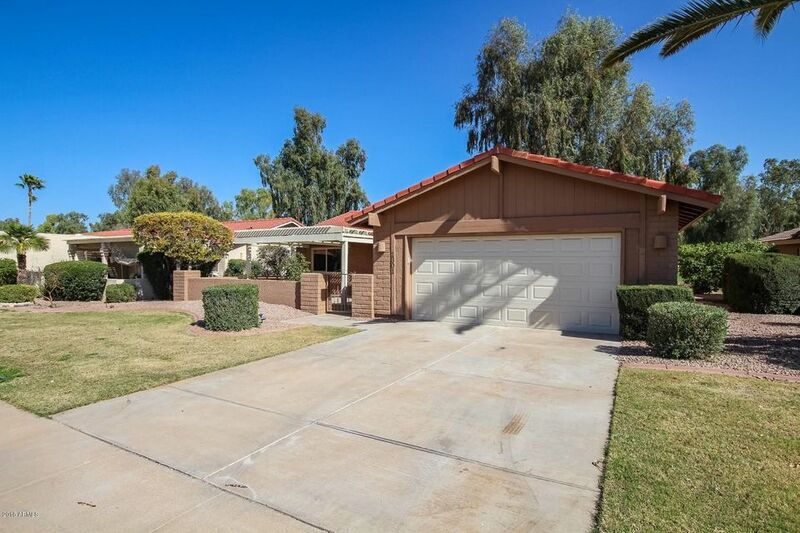 Fabulous property for entertaining and is located in an area with affordable HOA fee's! 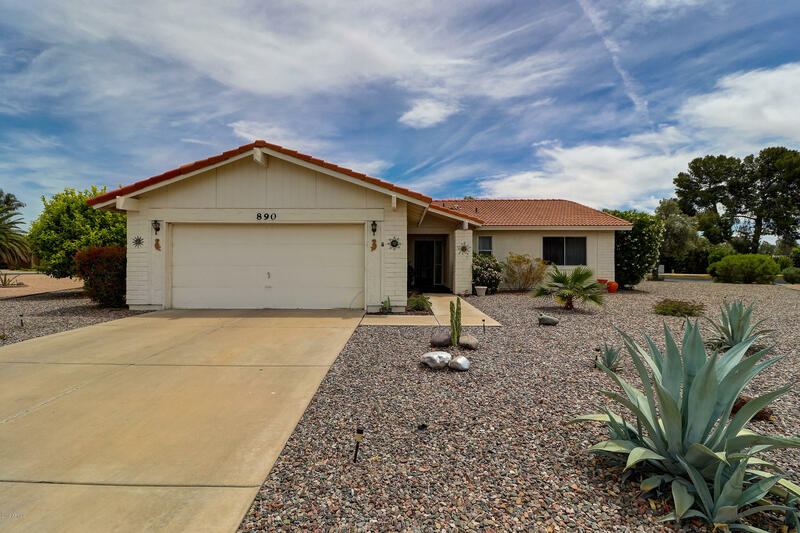 Outdoor living space includes a large front courtyard"
"This impeccable home is situated on a gorgeous golf course lot with mountain, water and fountain views surrounded by green landscaping. 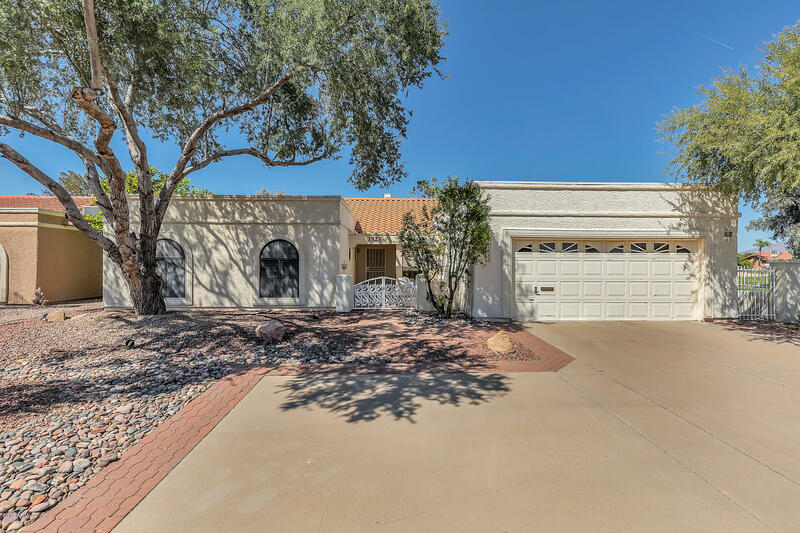 t features a large enclosed Arizona Room adjacent to the course, along with a screened in porch and a spacious tiled front patio with a pergola. The large open kitchen has a breakfast bar and a separate eating area, but the home also offers a formal dining space which opens onto the roomy living area featuring vaulted ceilings and large windows. A generous maste"
"Fantastic 2 bedroom furnished golf course home situated on the third tee box on Heron Lakes Golf Course with water fountain and mountain views. Both bedrooms are large and feature walk in closets." "Fantastic Property on the Lake! 2-Bedrooms 2-Bathrooms, 2-Car Garage! 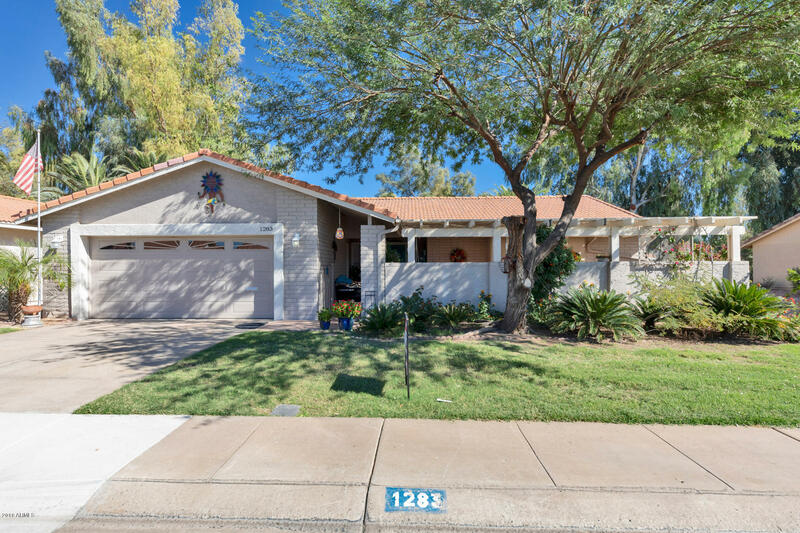 This Spectacular Home has been completely remodeled! Open and Spacious the Kitchen is great for Entertaining w/New Appliances, Quartz Counter tops, Decorative Drop Lighting. Light and Bright the Great room and Arizona Room open to the Beautiful Lake. New Windows, Ceiling Fans, Vinyl Plank Flooring, Private Large Front Patio. This Amazing Home is Ready For You to Move In! 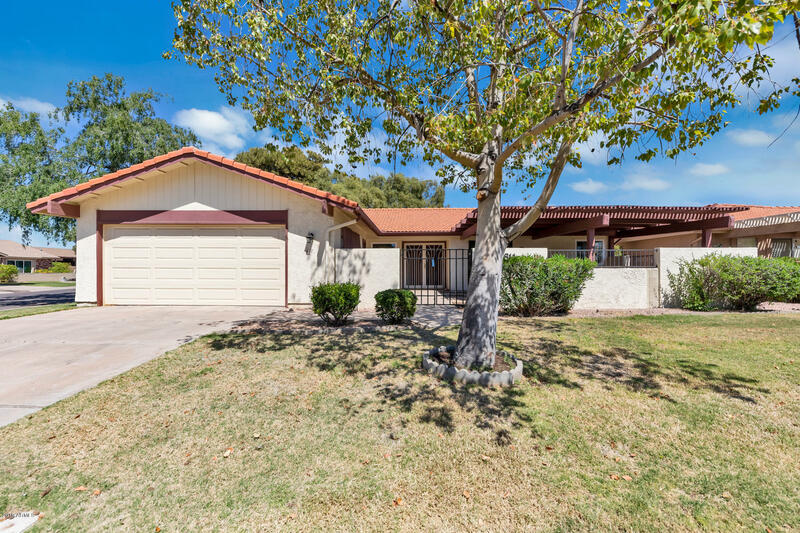 All of this in the Premiere Active Adult Community o"
"Charming 2 bedroom, 2 bathroom home situated on a golf course lot with an extra office or den. This home has a terrific, bright kitchen with white shaker cabinets, quartz countertops, and new stainless appliances. All bathrooms have been updated with new vanities and sparkling walking showers. All this in the Premiere Active Adult Community of Leisure World with 36 holes of private golf, new tennis complex, pickle ball, swimming pools, library, state of the art fitness center, theater, arts and "
"Come enjoy this furnished 2 bedroom plus den home located on Heron Lakes Golf Course. 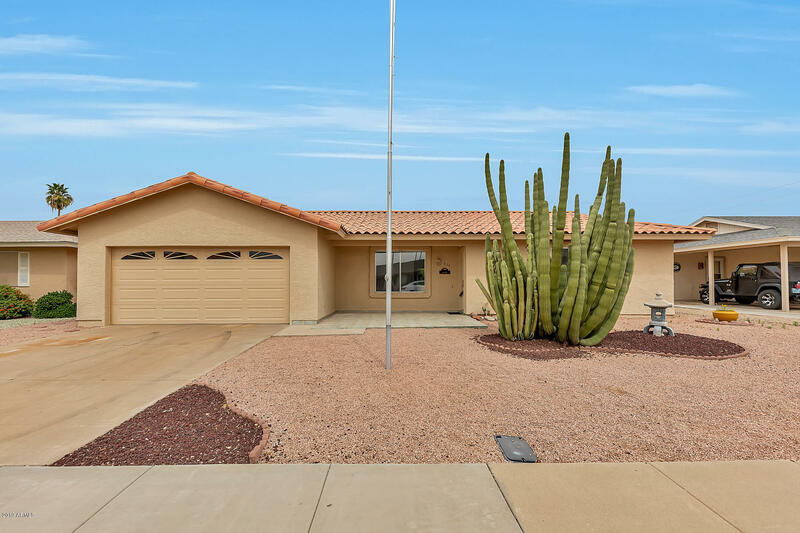 This home shows light and bright and features a lovely rear patio great for watching the amazing Arizona sunrises and sunsets. Come enjoy all the wonderful amenities that leisure world has to offer which includes, golf, tennis, pickle ball, fitness center, sauna, steam room, jewelry making, pottery, stained glass and the list goes"
"You are going to love this light and bright home. It is approximately 1400sf with 2 bedrooms, 2 bathrooms, and a large laundry room with extra storage. 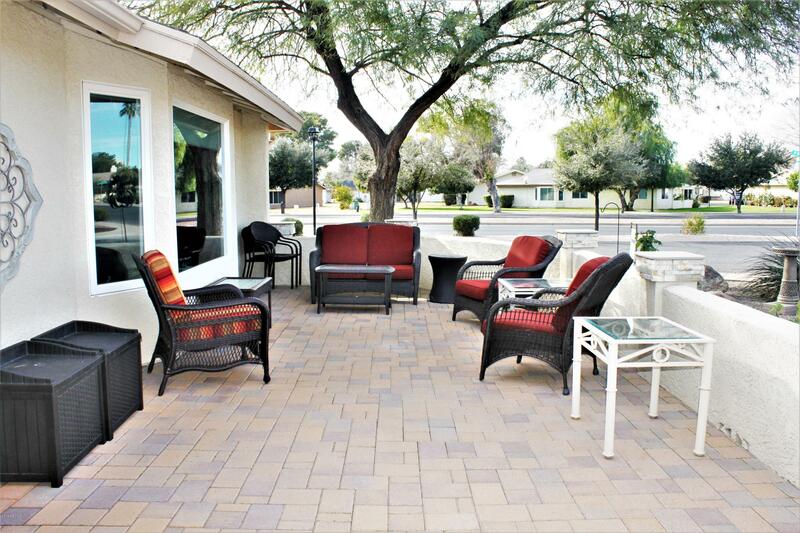 The huge back covered patio has plenty of room for entertaining or your own private retreat. The oversized master bedroom has room for a king size bedroom set plus a sitting area or office area. The brand new paint and carpet make the home move in ready!! Come see this home soon, as it is not going to last. All this in the Premiere Active Ad"
"2 Bedroom, 2 Bathroom, Over-sized 2-Car Garage. This Mapledale floor plan is very open and spacious. The LARGE Kitchen is great for entertaining. Living Room has vaulting ceilings, The huge 12,815 sf lot gives unlimited room for the house to be expanded and add an outdoor oasis. Plenty of room for a Third Car Garage! All furnishings are included in this sale except TV and Lift Chair. 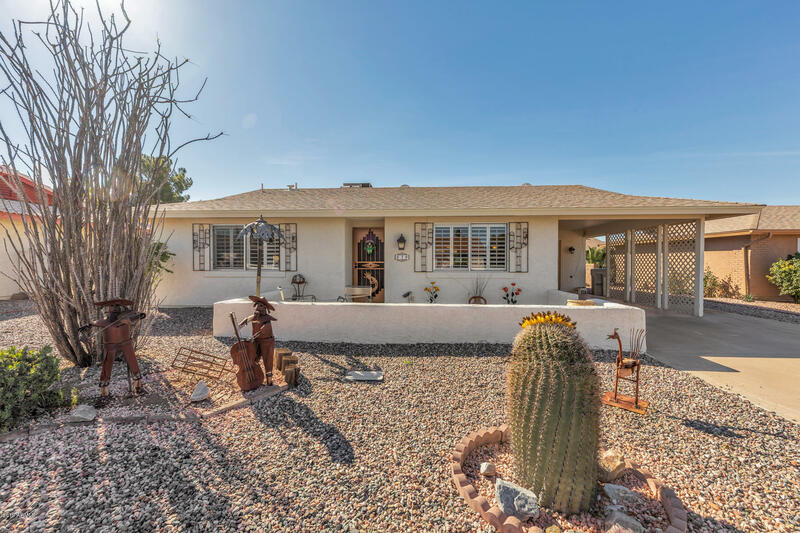 Home being Sold As/Is.All this in the Premiere Active Adult Community of Leisure World with 36 holes of private "
"Come enjoy this cute and cozy 2 bedroom home on a desert lot which features, an incredible rear yard with a fountain. 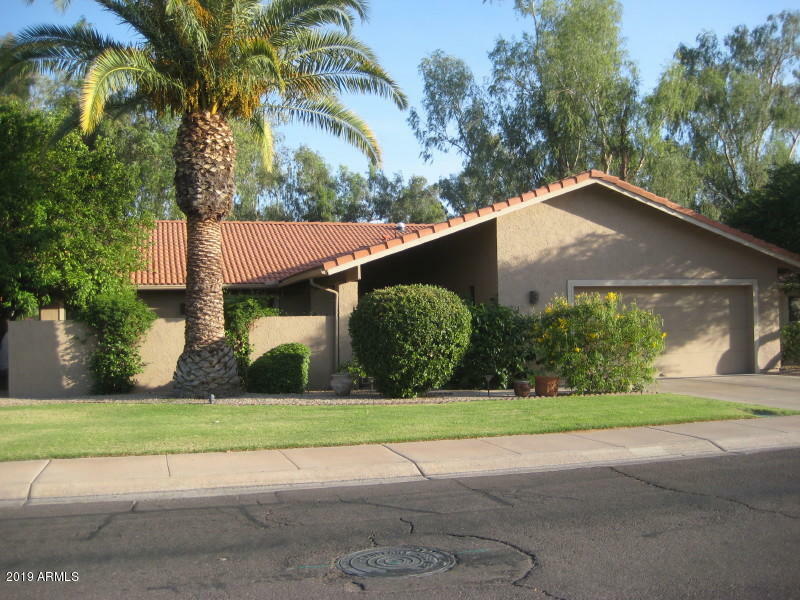 This home shows light and bright and has a newer roof, Arizona room which is light and bright. you will not want to me this oneseller would like to stay until the end of april or would be willing to rent back until the end of april"